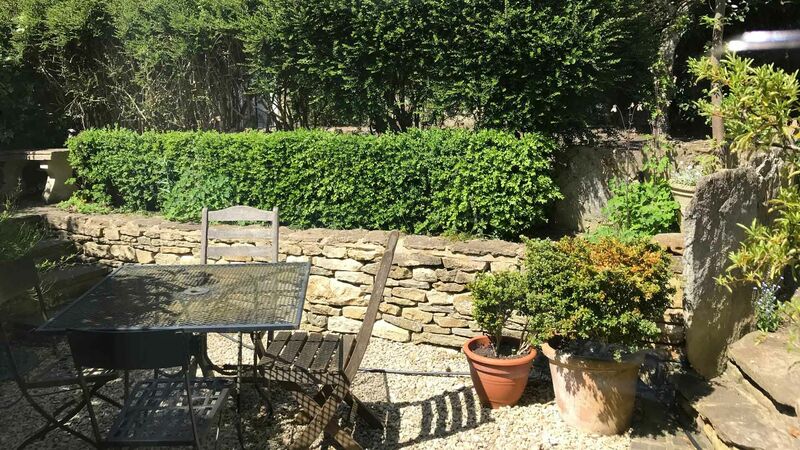 Gassons View is a quintessential Cotswold cottage located in the pretty village of Filkins, situated on the Oxfordshire and Gloucestershire border. 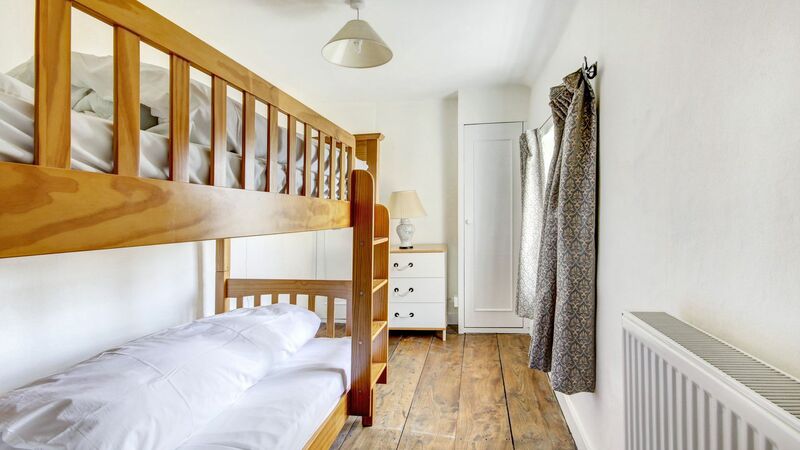 The self catering cottage retains many of its original features such as exposed beams, fireplace and spiral stairs, which makes it cosy and inviting. Located next to the village post office/store, adjacent to the village's outdoor swimming pool (temporary membership required) and a short walk from the award winning pub, The Five Alls. The towns of Lechlade and Burford are just a short drive away. Through the entrance hallway into the stone flag floored living room with sofa & armchairs arranged around the open fireplace and plasma TV. Dining room with antique table for 6 guests. Lovely light kitchen/breakfast room, with table and doors which open out onto the garden. Modern shower room with loo. Original spiral staircase leading up to the first floor. Please note that this staircase is relatively steep, so please be mindful. Family bathroom with Bath, basin and loo. Bedroom 4 - Original spiral staircase up to the top floor bedroom, double bed on raised platform and chest of drawers. Doors from the kitchen open out onto the small patio with barbecue and outdoor seating for up to 6. There is a path which takes you to the back garden and a gate which opens opposite the village post office, shop and swimming pool. On-road parking is at the front of the property. We had the most wonderful stay at Millie and Fergus’s place. The cottage itself is beautiful and the thoughtful touches were so kind; everything needed for a cosy fire as well as some delicious local treats. The local pub also serves great food - we had a great time! 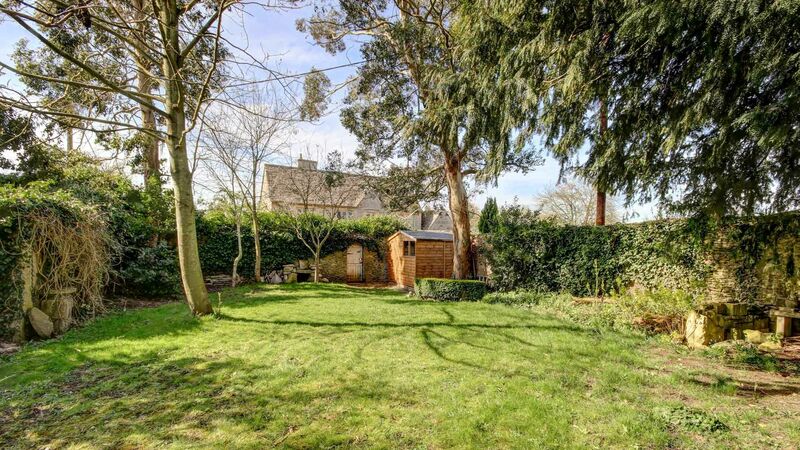 A lovely cottage, beautifully decorated and presented, in the stunning village of Filkins. Incredible hosts, an incredibly relaxing stay. Fab cottage, comfy and spacious. Great location for walking and drinking!! This cottage was fantastic. Communication was prompt and friendly. The location is picturesque and the interior beautifully warm and cosy. There's plenty of space, with the living room (and fire), dining room and open kitchen with seating leading out into a nice garden. Then bedrooms are upstairs and in the attic. One thing I was especially appreciative of was how well equipped the kitchen was (we cooked quite a bit). There's a great pub just down the road (The Five Alls) which is friendly, and has a nice food area and more pub style bit. The food there was great. Lovely cottage ideally situated and perfect for our family get together. The local pub was superb and only a few minutes walk. Only managed a few days but would have loved to stay longer, hope to return one day. 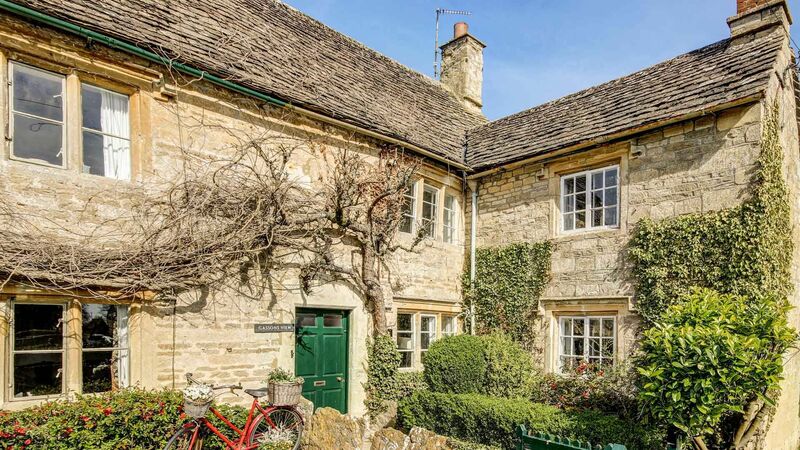 A charming cottage full of character, but mind your head! Great facilities and the atmospheric 'Five Alls' pub does some super food as well as traditional beer. Terrific walks in a beautiful part of England. The kids appreciated the toys there and the parents the Lynwood coffee. This cottage had plenty of history and charm. The bedrooms were clean and spacious with comfortable beds and ample storage space. There was a bathroom on the first floor and a shower room downstairs. My husband and I found this perfectly adequate, but our American visitors felt the need for another bathroom! The kitchen was huge, comparatively new and extremely well equipped. There was also a dining room were we could all eat in comfort. The surrounding area, with washing line and a play area for children was enclosed and safe. Filkins village was charming and the local pub had an excellent chef. We had a great time and used the cottage as a hub for excursions. We highly recommend this property. Just returned from our weekend & wanted to say thank you! The booking process was very easy & always prompt interaction from yourself’s whether by email or call with any queries we had. Gassons View was perfect & we thoroughly enjoyed it! Filkins is a small village with a post office/store and an award winning village pub, The Five Alls, which serves delicious home cooked freshly prepared food, cracking wines and real ale. The village is surrounded by open farmland and countryside but is close to the towns of Burford and Lechlade. Local attractions include: The Cotswold Woollen Weavers', The Cotswold Wildlife Park, The Cotswold Water Park, Buscot Park and Kelmscott Manor.